Enter the Bottled Starbucks® Iced Coffee Promotion for your chance to win a $25 Starbucks® Card e-gift or a Starbucks Verismo® System by Starbucks® 580 Brewer! Good Luck!!! 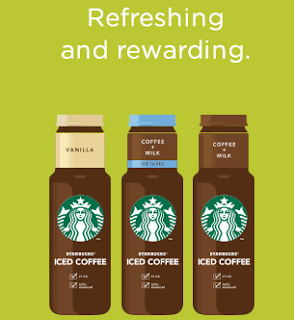 INSTANT WIN PRIZES: Forty (40) Instant Win Prizes will be awarded, one per day, each consisting of a $25 Starbucks Card E-gift (see Rule 6 below*). Actual retail value (“ARV”): $25. SWEEPSTAKES PRIZES: Fifty (50) Sweepstakes Prize(s) will be awarded, consisting of one (1) Verismo® System by Starbucks® 580 Brewer. Actual retail value (“ARV”): $199.